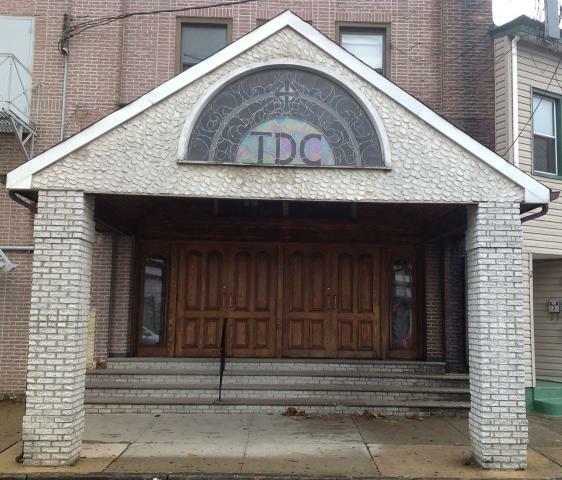 Trenton Deliverance Center was founded by the late Bishop Perkins and Mother Louise Broach, Sr. over 42 years ago. Their son Pastor Mark A. Broach is now the Senior Pastor and has been serving the church and the community dutifully for over 13 years. Pastor Mark A. Broach is the Senior Pastor of the Trenton Deliverance Center Church and under his leadership he has implemented numerous programs and ministries to meet the entire community. Trenton Deliverance Center now offers a recovery group for those recovering from multiple addictions. The church also offers mentoring for both males and females between the ages of ten and eighteen. Pastor Mark has expanded the food pantry to the point of community distribution of fresh vegetables, fruit, bread, juice, salads as well as many other items including canned goods on a regular basis. At Trenton Deliverance Center Church, Pastor Mark has used his teaching skills and the anointing that stems from God to deliver the word of God to those under his leadership and to those abroad. The Bible Study series that are regularly taught are insightful and second to none – those in attendance have grown by leaps and bounds. The church, under the leadership of Pastor Mark, has begun what has been known as “Give-a-ways”. At the give-a-ways, the church gives new items such as sheets, towels, blankets, kitchen items, bath items, chairs and many more household items. Pastor Mark received his undergraduate degree from Trenton State College more recently known as The College of New Jersey. His major fields of studies were Communication with emphasis in broadcasting and education. Pastor Mark has worked as a radio announcer for a few years before pursing extended time in the education field. Pastor Mark began teaching in the Trenton school district during which time he was the recipient of multiple awards. After numerous years in the Trenton school district, Pastor Mark moved his employment to the Hamilton Township school district. After only a year of teaching math in Hamilton, Pastor Mark was offered the opportunity to lead Emily Fisher Charter School as their Headmaster. Upon the death of his father Perkins Broach Sr., Pastor Mark had a new vision and embarked upon opening a private Christian school in his fathers’ name. In 2000, Pastor Mark spearheaded the opening of Perkins Christian Institute for children pre-k through third grade. Every subsequent year thereafter, the school added one additional grade culminating at grade six. Pastor Mark A. Broach is the proud father of three wonderful children, daughters Aleah and Ariel, and son Mark Alan, Jr. Pastor Mark has been married to his beautiful wife Jennifer for over 21 wonderful years.